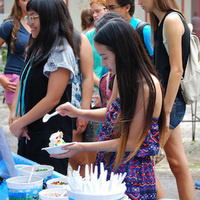 All members of the Class of 2022 are welcome to join us in Lipchitz Courtyard (Building 14) for Ben & Jerry’s ice cream, games, goodies, and greetings galore. Meet some of the Libraries staff, play giant Jenga or corn hole, and grab some of our giveaways. The libraries and playing games and improving the perfect topics for essential efforts for concerning knowledge. This https://www.ukbesteessays.com/ blog has been giving us about staff tips and giving the better greetings for us.